Is the royal marriage story we’re being sold really a fairy tale come true? Or is it a story spun by Buckingham Palace for its own self-interest, one shrouded in myth and make-believe? In the coverage of next spring’s marriage between Meghan Markle and Prince Harry, two main narratives have emerged. One is Markle’s mixed-race, American background and how her “acceptance” to the royal family signals a monarchy willing to loosen its rigid rules. The other is an improbable love story: A girl from South-Central Los Angeles is plucked from the streets by her dashing Prince Charming (“How Meghan went from a seedy Los Angeles tenement to a Palace,” as one Daily Mail story put it). While both have elements of truth, they also ignore the royal family’s complicated history with race and “blood” and its insistence on continuing outdated traditions. As a sociologist who researches questions of race, power and ideology, I believe we are missing the real significance of this marriage. The “modern royal family” narrative overlooks the fact that the monarchy continues to embody a fundamentally traditional idea of British identity, a patriarchal institution steeped in nostalgia for the days of the empire. In their carefully choreographed first joint interview with the BBC, Markle – a self-described feminist – confirmed that she was giving up her acting career in order to take up her new “role” as the wife of Prince Harry. The idea of a distinct blood category for the upper classes is, of course, absurd. In 2016, when news first broke of Prince Harry’s relationship with Markle, some coverage and commentary were driven by a racial paranoia that the supposed sanctity of the royal blood lineage was being broken (“Harry to marry into gangster royalty?” a Daily Star headline read). Others pointed to the danger posed not just to Harry’s safety in dating a woman from South-Central Los Angeles, a place “plagued by crime and riddled with street gangs,” but to the integrity of the royal family writ large. Historically, the idea of “Britishness” has carried unspoken racial connotations; as cultural historian Stuart Hall noted, “in common understanding, the nation is usually imagined as white.” In this context, the royal family represents the national family, imagined and implicitly understood as white. It appears, then, that this is an important moment in the slow and uneven – but nonetheless real – shift in Britain toward acknowledging the evolution of a multiracial society. But the significance of one so-called “interracial” marriage also shouldn’t be overstated. European royal families have been breeding across ethnic and national lines for centuries. The ever-so-English sounding “House of Windsor” is, in fact, a name made up by King George V. The real name of the Windsors was, up until then, the House of Saxe-Coburg and Gotha. But in order to make it easier for the royal family to encourage the British working classes to take up arms against the Germans in 1917, they wanted to gloss over the uncomfortable fact that the family’s background was more German than British. A shot in the (pale) arm? For decades, royalists have worried about the monarchy’s future once Queen Elizabeth II finally goes. There’s the absurdity of believing in kings and queens ordained by God, of course. But Prince Charles, the next in line, isn’t widely liked. This marriage could be an unexpected lifeline. Just as The House of Windsor (née Saxe-Coburg and Gotha) reinvented itself 100 years ago in order to maintain its authority, a familiar chain of events could be playing out. Ironically, it is the Windsors who stand to gain the most from this relationship by maintaining their popular standing and public reputation – and, therefore, their legitimacy – by adding a touch of beautiful, light-skinned “diversity” into the lily-white family tree. “Genetically, [Markle] is blessed,” enthused journalist Rachel Johnson (a sister of prominent MP Boris Johnson), using eugenics-style colonial reasoning to approve of the relationship. 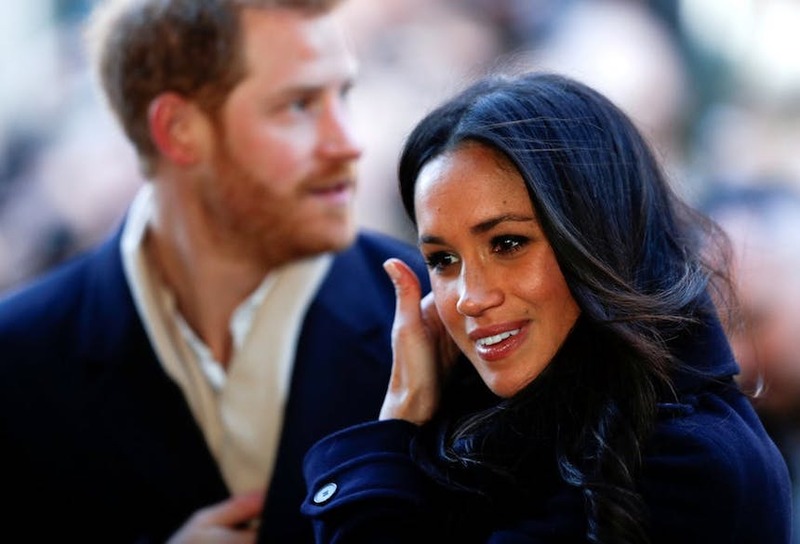 Unlike most royal marriages, which tend to be politically arranged affairs driven largely by the dynastic requirements of Europe’s aristocratic families, Harry and Meghan do appear to be genuinely in love with each other. Outside of royal circles, so-called “mixed-race” relationships are no longer exceptional, but actually represent an increasing number of family units in modern Britain. By adapting to Britain’s changing social and cultural landscape, the royal family is desperately trying to broaden its popular appeal. Contrary to the British press’s narrative, we might say that Harry’s the one “marrying up” – not the black actress from LA.